At the opening hours of the Grande Passerelle - 2 rue Nicolas Bouvier - La Gare - Saint-Malo This summer, the three thematic showcases in the Patrimony and Sea Marine areas reveal a new selection of documents kept on reserves. Showcase Patrimony: A train can hide another ... The arrival of the High Speed ​​Line in July plunges us back into the history of the railway between Rennes and Saint-Malo. A tourist and historical route is proposed through a selection of old guides and illustrations. Take advantage of this stop to find some photographic impressions of the old station of the city which was destroyed to build the Médiathèque. (Until September 13, 2017) Showcase Artistic heritage: Short legends of the insoumise portulan For these briefs Legends written by Gilbert Lascault (novelist, essayist) and for this metaphorical boat that is Insoumise, Ghislaine Escande (painter and visual artist) created this series of thirteen cards which are invitations to the world, Reading and escape. Showcase Sea Marine: A world tour a la carte! 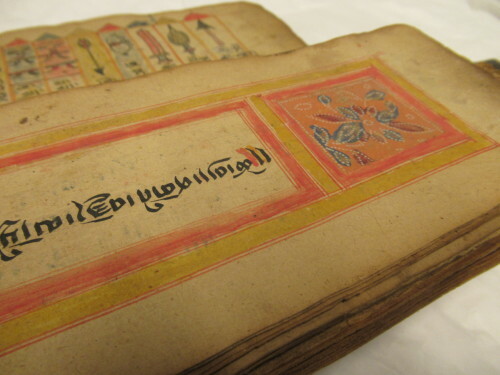 The heritage collection preserves ancient books devoted to explorations. A selection of works from the XVIIIth to the XIXth century will guide you in the footsteps of cartographers, navigators, travelers scientists, pirates, journalists or men of letters ... From the Southern Lands to Greece, it is a trip à la carte offered to you Over the showcases.